In collaboration with Ísey Skyr, the original Icelandic Skyr. 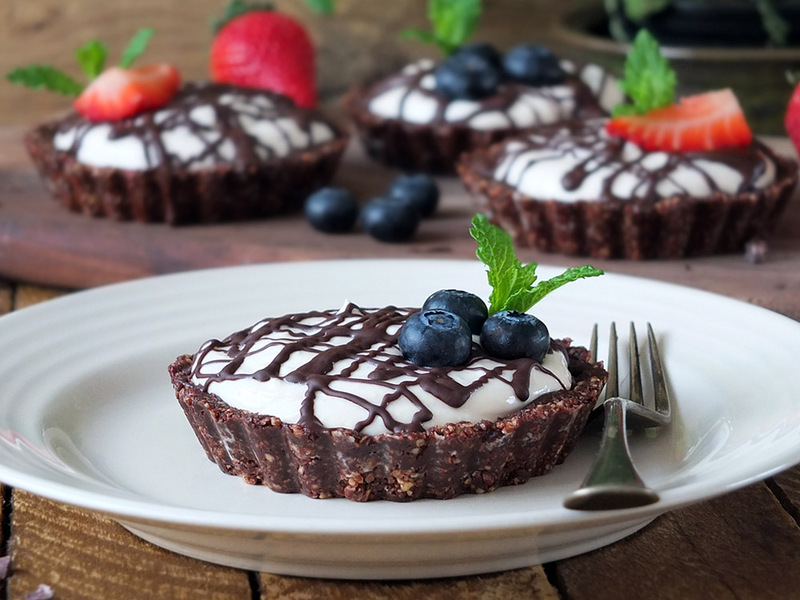 If you’re looking for a quick and easy effortless dessert that has just the right amount of buttery chocolatey crunch and a light and fluffy filling, look no more – introducing my no-bake chocolate nut tarts with Icelandic skyr recipe! I’ve only ever spent five hours in Iceland, en route while emigrating from Canada to Scotland way back in ’99. My flight transferred at Keflavik International Airport, and all I remember is that it was dark, snowing and there was a giant soft drink’s billboard at the end of a field. I’ve been vowing to go back ever since, especially after seeing the photographs my friend Barry Broadbent took on a recent visit (reproduced with permission, below). Iceland is appearing more on our radar these days, not only with the cloud of volcanic ash that rained down on us Shetland inhabitants in 2010 when Eyjafjallajökull erupted, the emergence of some seriously popular Icelandic crime dramas like Trapped and I Remember You, and the fact that two Icelandic actors appeared in this week’s episode of the BBC crime drama Shetland, but with the fact that Icelandic skyr is appearing on our supermarket shelves. Ísey Skyr is Iceland’s secret to healthy living. Icelandic people have been eating it daily for centuries – and they have the longest lifespan in Europe! This dairy product, unique to Iceland, has a deliciously rich flavour and a thick, creamy texture due to the special process with which it is made, which ensures the valuable whey proteins are kept. 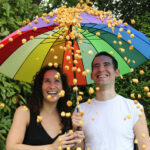 It is high in protein, virtually fat-free and available in vanilla, strawberry, mango and blueberry flavours. 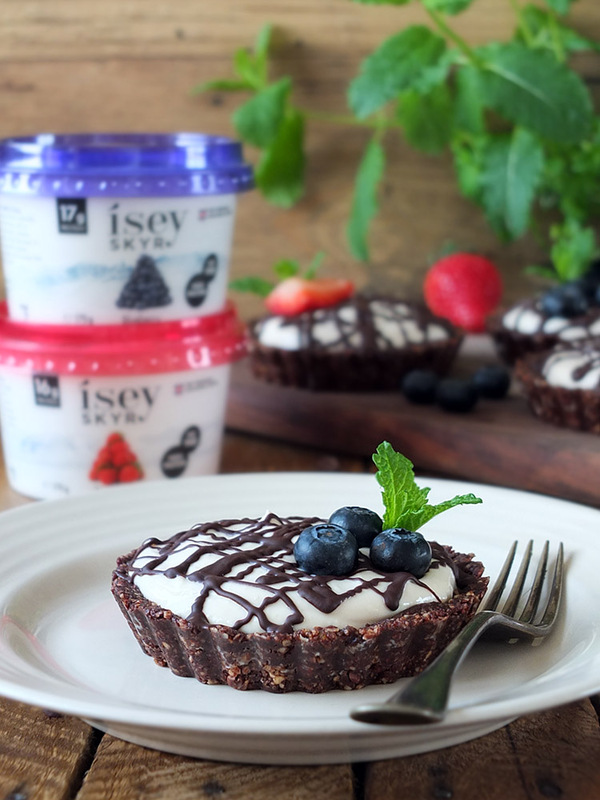 Ísey is a beautiful woman’s name in Iceland, meaning Ice + Island, and in honour of all the women who have passed on Iceland’s secret to healthy living from generation to generation, they’ve named their dairy product Ísey Skyr. 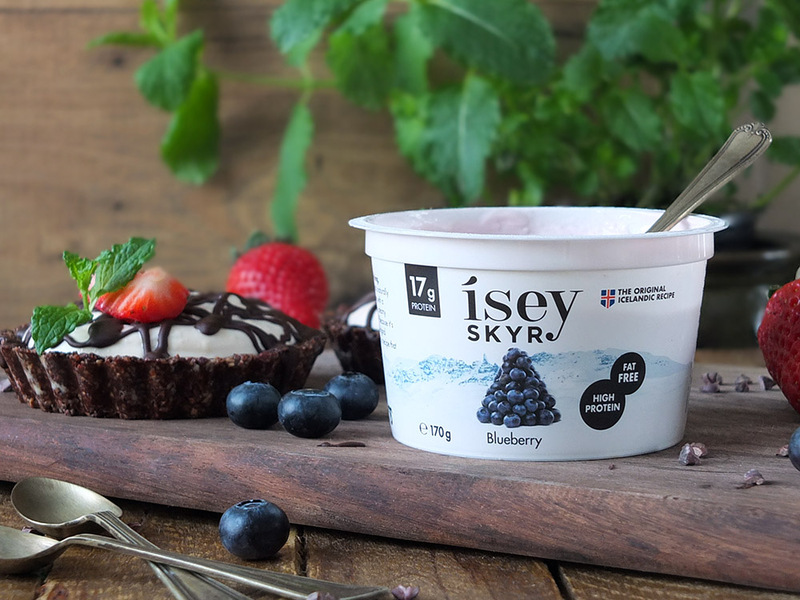 Many imitations have appeared on the market, but Ísey Skyr is the original recipe. It’s produced in Iceland, using milk from local farmers across the country, and it makes for a rather delicious snack for children and adults alike. It also makes a rather fantastic filling for these no-bake chocolate nut tarts. This recipe is really easy to make – all you do is whizz up some raw almonds, cashews, cocoa powder, and cacao nibs with a little bit of dark brown muscovado sugar and stir in some melted butter (or coconut oil) to hold it all together. Press the mixture into some individual tart tins and freeze for ten minutes while you get on with the filling. For the filling, lightly beat some light double cream, sift in some icing sugar to sweeten (just a smidge!) and fold in the Ísey Skyr along with some melted and cooled white chocolate. Spoon the filling into the tart bases, drizzle with some melted dark chocolate and garnish with fresh fruit and a mint sprig, if desired. Refrigerate for a few hours to that the filling firms up a bit, and serve! My family are the official taste-testers behind all the recipes on my blog, and my husband said these tarts taste just like summer. There’s a perfect balance of chocolate crunch in the base with the creamy not-too-sweet filling and the crunch of the dark chocolate drizzle. You can find 170-gram pots of Ísey Skyr in Waitrose and Aldi, while 1 kg tubs of natural Ísey Skyr can be found in Costco. Click here to find out where your nearest stockist is. 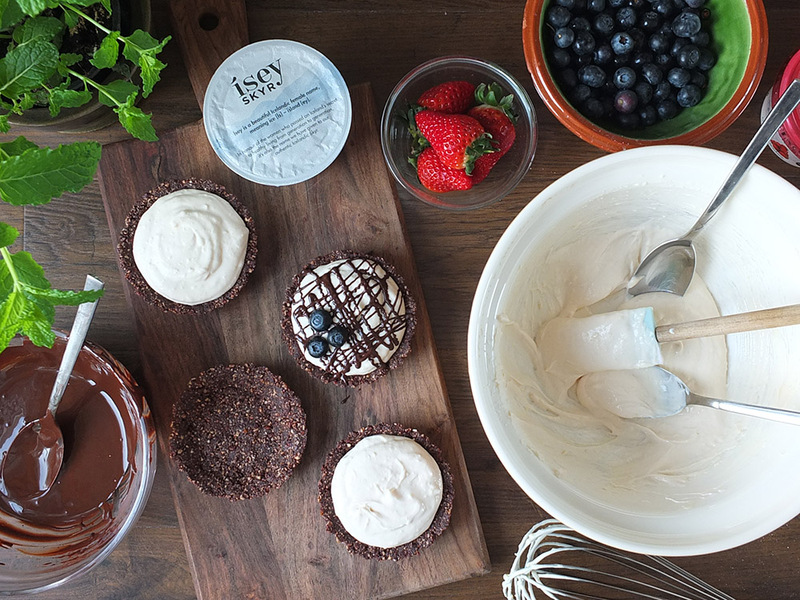 Don’t forget to follow Ísey Skyr on Instagram, Twitter and Facebook and visit their recipes page for some more inspiring ideas! 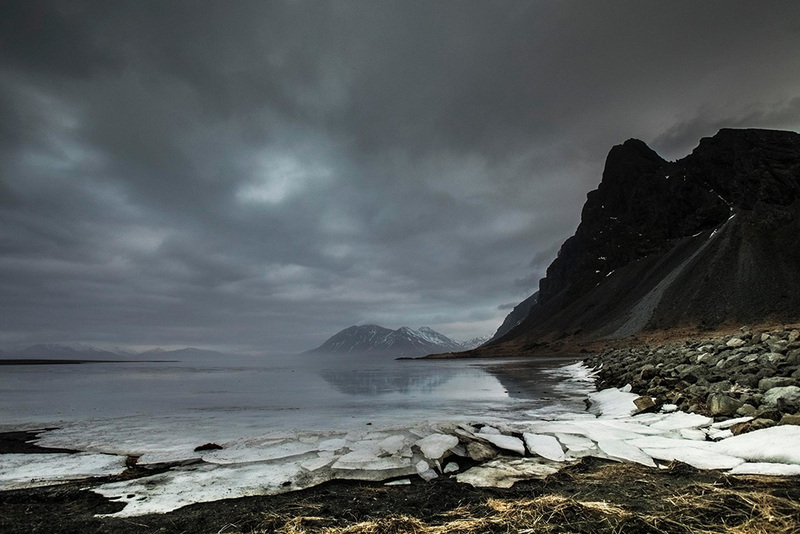 Have you ever been to Iceland, or is Ísey Skyr part of your healthy lifestyle? Let me know in the comments! This quick and easy dessert tastes like summer. 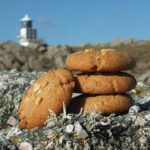 It features a chocolate nut crunch base and a light fluffy filling made with the original Icelandic Ísey Skyr. A drizzle of dark chocolate and a fruit garnish finishes it off perfectly. To prepare the base, place the nuts, cocoa, sugar and cacao nibs into a small food processor and process until fine. Melt the butter (or coconut butter) and mix with the chocolate nut mixture until well combined. Divide into four individual lightly greased non-stick tart tins, pressing the mixture into the base and up the sides. Pop into the freezer for ten minutes while you prepare the filling. Melt the white chocolate in a heatproof bowl suspended over a pan of barely simmering water. Allow to cool to room temperature. Lightly beat the double cream until peaks form. Sift in the icing sugar and carefully fold in the Ísey Skyr and melted, cooled white chocolate. Remove the chocolate nut tart bases from the tins and arrange on a serving plate. Divide the filling evenly between the four tart bases. Melt the dark chocolate in a heatproof bowl over a pan of barely simmering water and leave to cool to room temperature. Drizzle the melted chocolate over the top of the tarts, decorate with fruit and refrigerate for a few hours until firm. This is a sponsored recipe post for Ísey Skyr, although all thoughts and opinions expressed are our own. Thank you for supporting the brands who make it possible for me to do what I love: mess up my kitchen and share recipe stories. 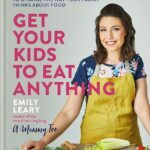 Effortlessly delicious recipe! Can’t wait to try making this and serve it to my family and friends. Thank you for sharing this. Yum these look delicious and easy to make. Might have to give them a go this week. I love that these are no bake. I keep seeing Skyr in the supermarkets so will give it a try. It’ll make a nice change from my usual Total Greek Yoghurt. 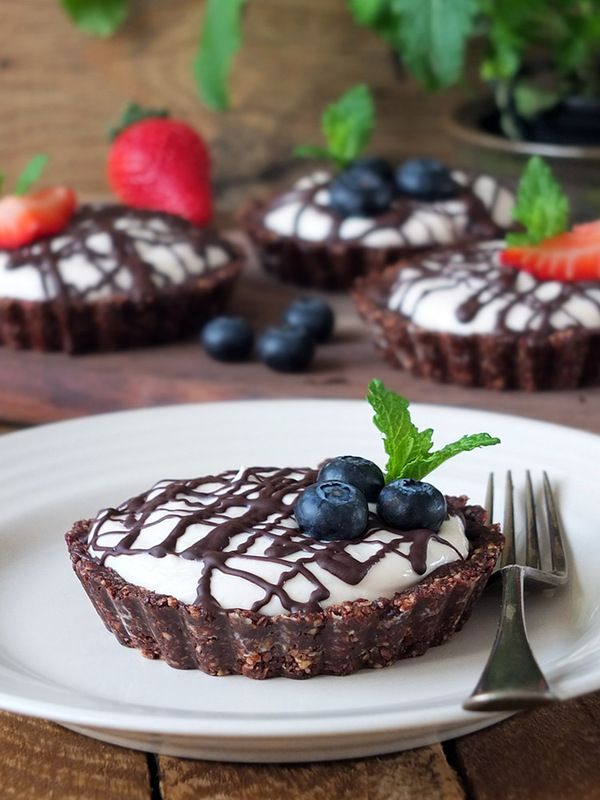 What an inspired use of Icelandic Isey Skyr – these no bake tarts look absolutely incredible! You had me at no-Bake! This will be perfect for summer! These tarts look absolutely delicious! I love how easy it is to make such beautiful desserts! I love Skyr! Those tarts look so delicious, especially with the yogurt! 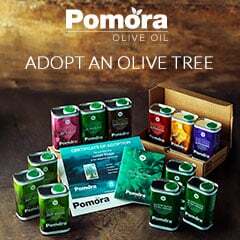 Thank you for the beautiful post and the wonderful information about this product this is my first time hearing about it is it available in the United States I would love to make this recipe? Oh yum, this looks amazing! I am going to try to make this tomorrow for the kids. These look absolutely delicious! 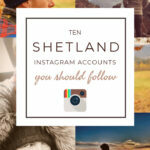 I’m going to have to try them. They are also so beautiful! I’ve never tried Skyr, but I’m going to have to test it out because it looks like something right up my alley. This looks delicious! 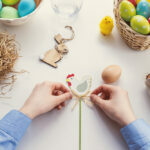 I’m definitely going to try to make this, I think my kids would love it too! It’s breakfast time at my end, and I could easily eat all those tarts all my myself. Love your photography! 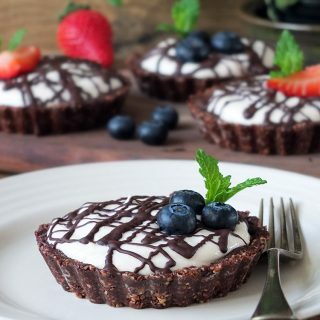 These no-bake tarts look incredible. Skyr is delicious and I bet they make these tarts extra special. 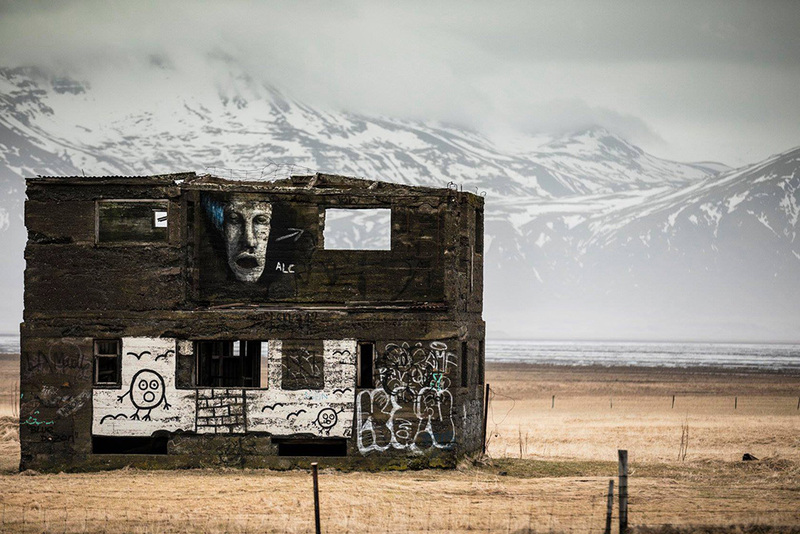 Your friend Barry’s pictures of Iceland are breathtaking! oh my gosh this looks amazing, im loving all the raw ingredients too! Oh wow! This sounds and looks absolutely amazing! Oh my goodness these look absolutely amazing. I love blueberries and these tarts just sound so tasty.